Glenn Drover is a man who knows how to design board games. He made the Civilization, Railroad Tycoon and Age of Empires III board games, among a raft of other editions unrelated to videogames. Publishers Slitherine have taken notice of Drover’s dice-rolling exploits, and have announced that they’ve signed him up to create Victory & Glory: Napoleon, a strategy fare, on PC. The board games sector has grown 40% in the past 12 months, according to Slitherine‘s marketing director Marco A. Minoli, so it makes sense that a publisher with its history in historical war games and strategic sims would want to enlist someone like Drover. In Victory & Glory: Napoleon, you’re playing the role of The Little Corporal himself from 1800 to 1818 as he attempts to dominate Europe via a mix of “grand strategy and fast-play battles,” which at least on paper seems to bear some similarity to the way Creative Assembly’s Total War titles work. The AI controls Great Britain and its ever-changing list of allies while you attempt to beat them all, positioning your armies and navy, recruiting troops, and securing new regions for your glorious empire. 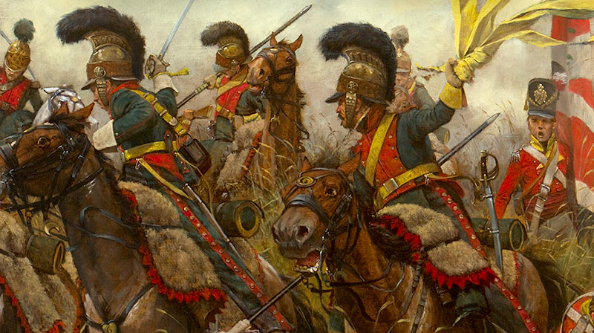 – Dozens of unique unit types (cavalry, infantry, artillery, and generals for each major nation and several minor nations). – Over 100 unique ‘Event Cards’ with artwork by world-renowned Napoleonic Artist: Keith Rocco. Each card gives the player special unit upgrades, advantages in battle, new recruits, historical events, or political actions that can change the alliances or borders of the French Empire. – Land and Naval Battles utilizing a fast-play abstracted tactical battle system. – More detailed tactical battle system also available for larger battles. The game’s due out in January 2016, so budding expansionist dictators don’t have too long to wait.